Getting projects on freelancing portals is not easy and when we get it from a fake client, it is worse because they will hire you, get their work done and go invisible means no reply after getting work done. 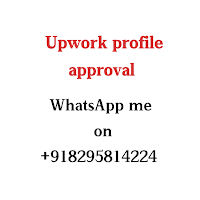 So to escape these kinds of fake clients on all portals, I have spent some time monitoring jobs that are posted by fake clients, and real clients on Upwork. And I have figured out the kind of techniques used by these fake clients to fool freelancers, so I have decided to post this here so that everyone will be aware of it and can apply only to real jobs. 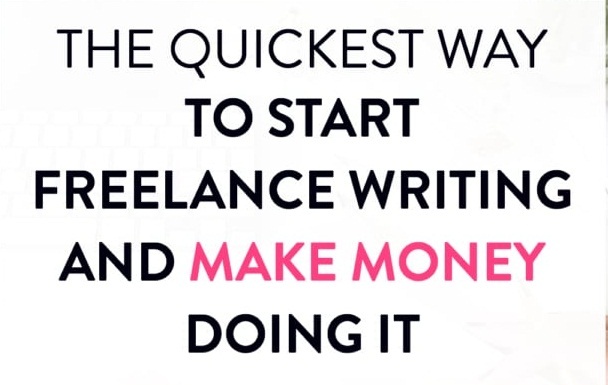 After reading this, if there are other ways they use that you know about, you can let me know in comments or joining our group here "Freelancing bidding tips and queries" so that we can discuss it further. These are just a few of their techniques, am still getting more. When you are applying for jobs, check if the client's payment method is verified, if not, proceed with caution. Fake clients don’t confirm their payment method, they just leave it blank. If you are a new freelancer, and can’t tell whether a clients payment method is verified, follow these simple step. • Click on the job post. • After the page is displayed, check the right-hand side of the screen and you will see some info about the client. 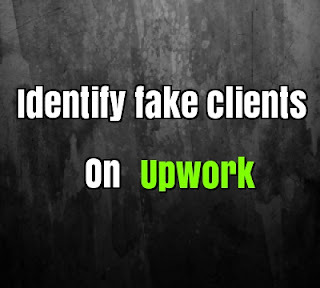 But, sometimes, a client without a verified payment method can also mean that the client is new so you will have to check out the same area where the “payment method not verified” is written, to know when he or she registered on Upwork. You can also check this right there on the job feed, jobs posted by clients with verified payment method has a green block with $ written in it below the job post, those not verified will have a — below their job post, while the new ones are written“NEW”. This is one other thing I noticed about these fake clients. They always boast about a “no coming heaven”. For example they will write “our blah blah blah company, a top global business company is looking for well talented and expert writers to write articles for their website, so if you are a talented writer, come and spend a whole lot of sh*t time, writing for us because you are a fool, and we know better than you”. These people are always fake. Some of them will even verify their payment method to deceive you, work for them, and after spending a whole lot of time delivering an excellent job, they will ask for a refund. Don’t even think of taking this matter with them, because it’s likely they will win you, but if you happen to win, expect to see a bad feedback on your profile (that’s none of my business, I need money and not your feedback). In this case, I would say not all of them are fake. Some clients may be looking for a particular skill that requires interviewing every applicant. But something like –👉 this job was posted over 5 days now, and the client is still interviewing lots of freelancers, and not hiring anyone, if you come across this type, haha, you know what to do, just pull off your shoes, and RUN!!!!!!!. Okay, I know some of you are already counting this one as "off the list", but I am totally right, yes!!! You heard that clearly, I am correct in this case. To prove it, check your Upwork message page, what do you see in Skype that is not on Upwork message page? Upwork message page is even more improved than Skype, it has video calls, messaging, and non-video call, then, why should the client take you to Skype and Hangout? Can’t he or she make use of the ones provided by Upwork? Q- Are you on Skype or Hangout? A- Yea, what the heck you ask for? A- Oookay, my Skype ID is **Edited for Community Guidelines**. **Note**, if you discuss a job on Skype, and you happen to get scammed, don't come crying to Upwork, because they can't defend you. 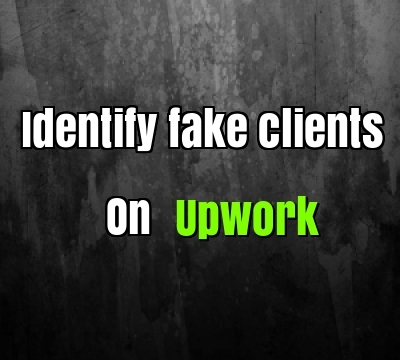 Once they dump you as a refuse, they come back to Upwork to look for another freelancer, once they get another one, haha, repeat the four steps above. "God have mercy". Fake, fake, fake. Don’t do this for clients even if you are new and wants to build your reputation, or you are desperate for the money because you will spend a “good goddamn hell time” to make yourself more desperate. Anyway, why should the client ask for a free sample, while you submitted a sample when applying for the job. Some freelancers will say that “is because they don’t want to get scam”, ooh, if you say that, then you are a scammer too, the door is open to leaving Upwork. As long as am concerned, there is no way clients will get scammed, it is you a freelancer that is exposed to the danger of “SCAM”. What’s hard in this? Just put the milestone, and if the freelancer does a bad job, you simply ask for a refund. But I am not happy because Upwork supports and protects clients more than freelancers. Don't forget to comment your views, may be I have missed some more points.